Now we can say that there is indeed a such thing as Crispie Sugar Free Sugar Cookies. And, these cookies are not so hard to make as well. A while back, I had a reader asked me if I had a recipe for sugar cookies that are also sugar free. Crispie cookies are a big deal right now. What once may have been considered to be an error in a cookie recipe is now considered to be something yummy to eat. I can’t tell you how many times I had cookie experiments go crispie. Who knew then that they would be desirable today? The truth is that a cookie gets crispie (or do your say crispy?) when it is low on moisture. Luckily for us sugar free bakers, lower moisture baked goods often result from using sugar alternatives. By sugar alternatives, I mean the ones that have no to really low calorie contents such as Splenda. For this recipe we will be using the standard recipes that we use in a sugar free sugar cookie. The most important ingredient to remember would of course be that sugar alternative. 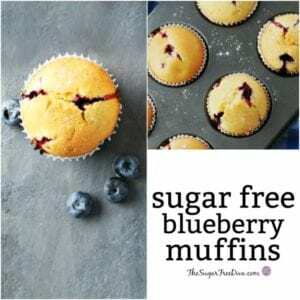 My recommendation for a recipe such as this one, would be to use a granular sugar alternative such as granular Splenda. Using a blend will affect this recipe as we are banking on the moisture in the cookie to make this work. Want to learn more about sugar alternatives? I also have a few other cookie recipes that you may be interested in. My sugar free butter cookies are a yummy alternative to that sugar containing counterpart. I also have a sugar free shortbread cookie recipe and a 3 ingredient sugar free peanut butter cookie recipe. 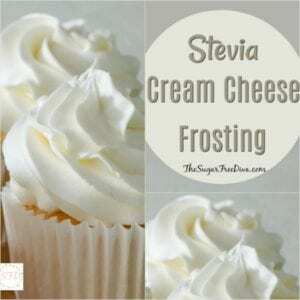 This is a rather simple recipe to make. The success to this cookie has to do with the sugar alternative that you use and the ability of the cookie to stay dry. What you will need to make this cookie. Flour- 2 1/2 cups. 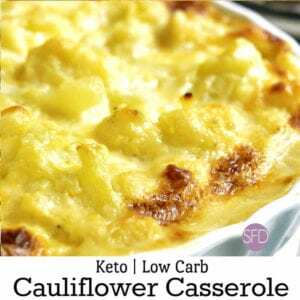 Make this low carb with low carb Carbalose or gluten free with a gluten free flour. Butter- 1 stick softened at room temperature. Preheat your oven to 325 and prep a cookie sheet for nonstick. I use parchment paper. In a bowl, mix together the flour, baking powder, and baking soda. Set this aside. Now, in a mixing bowl, cream together the butter and the sugar alternative. Add the dry ingredients from the first bowl to the mixing bowl and gently stir. The add the egg and vanilla extract and mix. To the mixing bowl, add the milk a tablespoon at a time, stirring between additions. Place the cookies on to the cookie sheet leaving a couple of inches between each cookie. Then, press the cookie down to flatten it with the palm of your hand or the back of a spoon. Tip: refrigerating the cookie dough for 20 minutes can help make it easier to shape. Bake for 12 to 15 minutes or until your cookies appear to darken around the edges. Allow them to cool on the cookie sheet to allow them to further crisp. 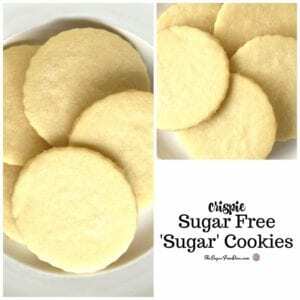 A crisp sugar cookie that is actually sugar free. Sugar alternative- equivalent to 1 cup of sugar read the equivalents label on the package. Also, granular works best. See the post for details on the ingredients. Hi. That is something to keep in mind. Thanks for visiting!